The Singapore Toy, Game & Comic Convention (STGCC) 2015 is back again for the coolest east meets west popular culture event in town. 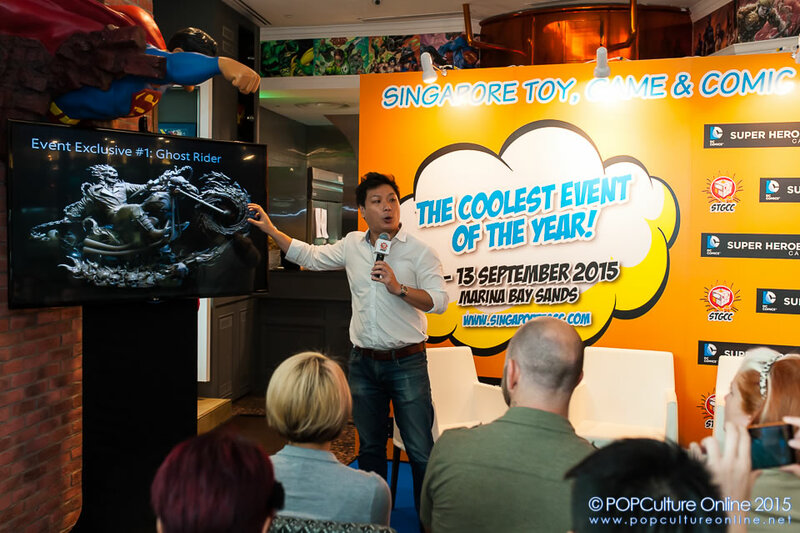 In its eighth, STGCC 2015 will turn up the heat of Singapore’s pop culture scene on 12th and 13th September 2015 at the Sands Expo and Convention Center in Marina Bay Sands. Fans of the event have been eagerly awaiting the numerous announcements over the past months and some have already snapped up tickets including the highly coveted VIP Packages which are now sold out. 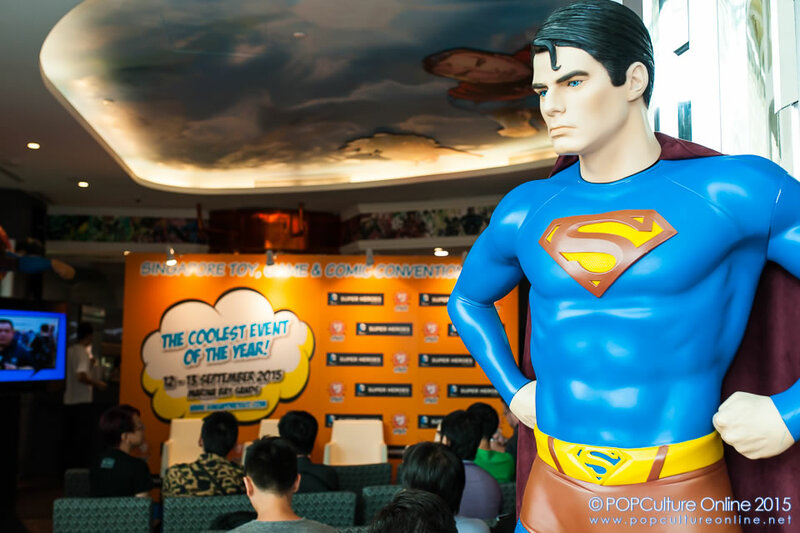 For those who are still wondering if you should make the trip down, Kenneth Wong send his special operations team of Ken Koh, Alex Tan, and Nicholas Kwan to the STGCC 2015 Media Preview at the DC Comics Super Heroes Cafe to find out what can visitors look forward to this year. A household name to collectors, Hot Toys has been impressing collectors and fans alike with their releases from various popular licenses and each release continue to showcase their attention to detail for each figure. One year after Hot Toys toasted to winning the rights to produce characters from the Star Wars universe, the toy manufacturing giant is back with the exclusive release of the Star Wars: Episode IV A New Hope Luke Skywalker collectible figure, all decked out in a Stormtrooper suit. On display at the media preview was also the new releases for the new Stormtropper figures for the upcoming Star Wars: The Force Awakens which is sure to catch the attention of fans. Marvel fans will also not be disappointed as STGCC 2015 will see the world premier of Hot Toy’s 1/6th scale Iron Man Mark III (Stealth Mode) Collectible Figure, and be the first to add it to their collection. Joining the extensive range of Iron Man exclusives and hot favourites to get your hands on are Iron Man 3’s 1/6th scale Mark XXIV (Tank) and the Mark XLIII (Stealth Mode) Cosbaby Bobble-Head. 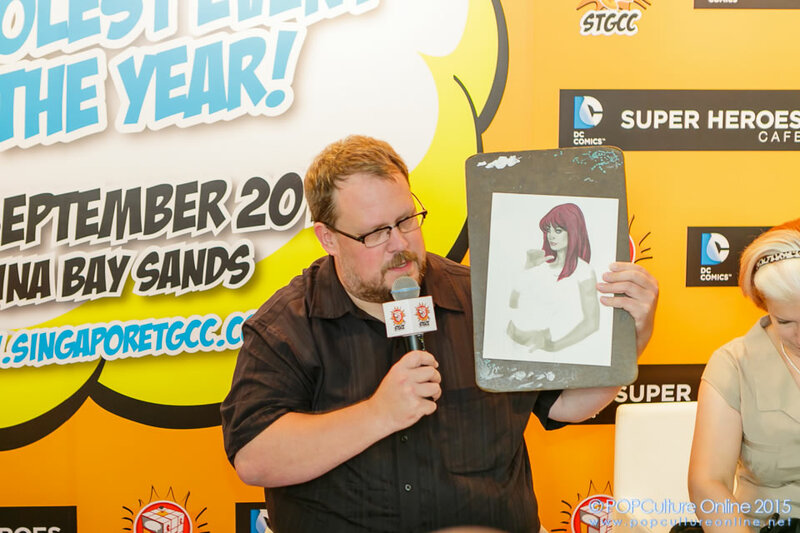 STGCC 2015 will see a huge line-up of renowned artists from all over the world. From famed mainstream Marvel and DC artist like Adi Granov who is responsible for popular ones like Iron Man to Spiderman and also the DC side with Adam Hughes who has worked on Wonder Woman and Catwoman. Bronies (fans of My Little Pony) will also be pleased that Agnes Garbowska will be in town for STGCC 2015. Talking with members of the media, Adam Hughes shared that Catwoman was his favourite female character was from all that he has worked on so far although he was sorry that the book ended before he could have worked on more of it interior wise. When asked why Catwoman, Adam shared that Catwoman had more humour wise that he could work on as compared to say Batman while yet both had their own sense of dark tragedy. He also enjoyed the fact that with Catwoman (unlike Batman), you can explore fun escapades and build onto the whole cat burglar, to catch a thief type of stories. STGCC 2015 will also see one of its biggest line up with Close to 180 launches from 240 exhibitors including 180 Artist Alley participants in it’s largest turnout. From artwork to special merchandise, popular culture fans will want to make sure they bring their ATM card along. One of the big names from the toy industry that will grace STGCC 2015 is Huck Gee. A contemporary artist, illustrator, designer and toy maker based in San Francisco, California, he is a driving force in the world of ‘Art Toys’ and is known for crafting small runs of handmade figures that sell out instantly online. We ask the Newcastle native what inspired him to make hand make toys compared to mass producing them. To which Huck shared that when he started, it was also the start of the industry and it always felt like a natural progression to start off with things like sculpting, casting and painting followed up moving onto 3D printers. He also explained that if he went to a factory to do it, it will take about 12 months before the public gets to see his toys and in that time many more designs and toys would have been completed. Ending off, he also shared that the one thing which he really enjoys is that moment or the “shine” as he calls it when he completes a new toy. A popular sight at popular culture events are the colour costumes and intricate props of the many cosplayers who attend as well. STGCC 2015 will be no different with the social media sphere full of activity of cosplayers sharing their plans for the event. Fans will also pleased to know that big names in cosplay such as Tadaaki “Jacky” Dosai, Yui and Stella Chuu will be heading down to meet fans and join in the various stage activities. Present at the media preview was internationally renowned cosplayer and burlesque performer, Stella Chuu. One who merges cosplay and burlesque to create a new unique kind of performance, Stella has taken the cosplay world by storm and is known for her cosplays of Ivy Valentine from Soul Calibur, Supergirl Kai, and Devil Homura Akemi. Sharing with the media what she loves most about cosplay, Stella shared that she used to think cosplay was just all about dressing up as your favourite character but over the years this has changed. Now it is about making friends with other cosplayers all over the world and being able to meet them in person at conventions and to cosplay with them. Stella also mentioned that she always has time for fans and would try her best to message them on social media like tweeting them back and she looks forward to seeing her fans here in Singapore. Fans of Stella Chuu can look forward to her cosplay from Fire Emblem Awakening and Final Fantasy 7. XM Studios is Singapore’s very own producer of limited edition premium statue collectibles. Sourcing only the most creative designers, experienced sculptors, renowned painters and combining feedback from what fans love and like, XM Studios endeavours to create only the most outstanding original designs of exquisite value. Current franchise properties include Marvel Movie Characters as well as Classic Comic Characters such as Ironman, Hulk, Captain America and many more beloved characters. At STGCC2015, XM Studios will be bringing 2 special exclusives this year for fans, the 1/4 scale burst of the Green Golbin and also the very impressive 1/4 scale of Ghost Rider. Fans can also look forward to sneak previews of the new Batman line and for fans of Hongkong comics, a new line will be coming too. 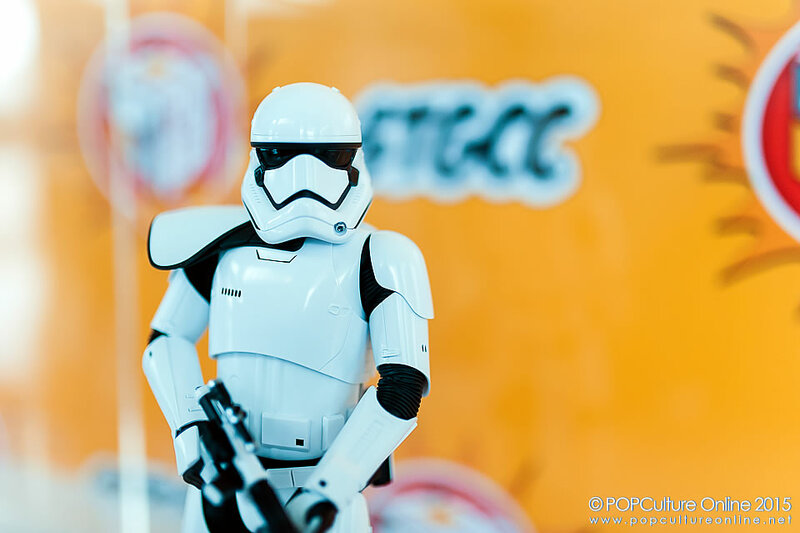 The Singapore Toy, Game & Comic Convention (STGCC) is always one of the POPCulture Online team’s favourite event as it continues to cover both east and west popular culture event. We always appreciate how both sides are looked after by the organisers and especially in a eastern heavy scene here in Singapore. After all it is not every day you get to also meet big names in the western comic industry. From the media preview, it looks to be one super exciting east meets west popular culture event at STGCC 2015 and we look forward to seeing everyone there! 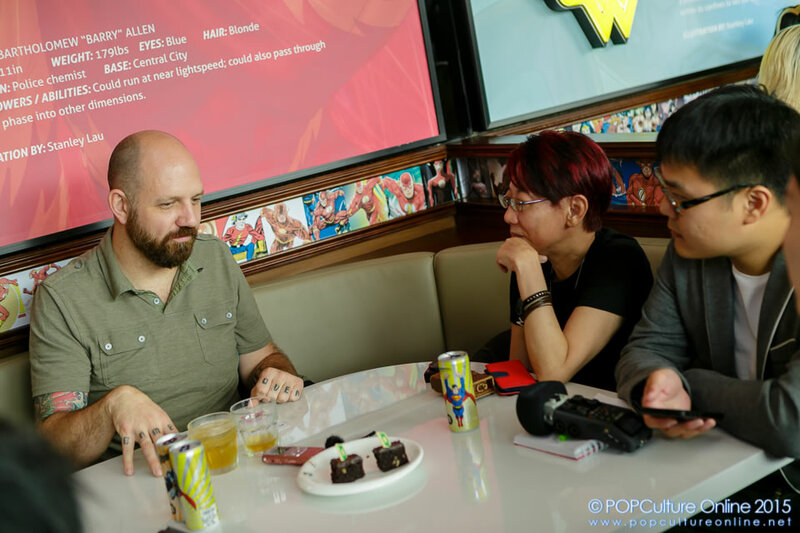 Do check out our photo gallery from the media preview for a sneak peek at some of the exclusives fans can expect and also of the delicious food served at the DC Comics Super Heroes Cafe.